Malaysian director Edmund Yeo’s acclaimed feature film. 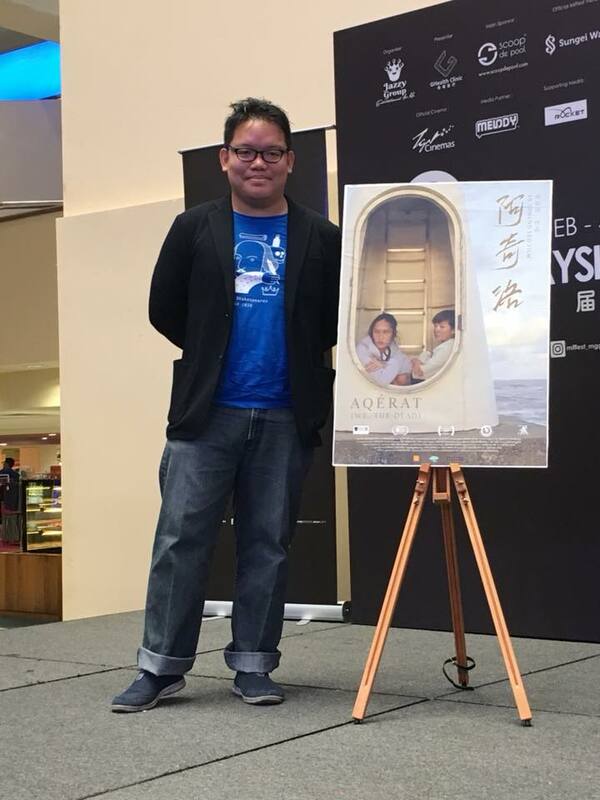 Aqerat, finally touched home soil last week at the 2nd Malaysian International Film festival when it screened there. Aqerat – like the Malay word Akhirat – means the afterlife in Rohingya. With an aim to put a spotlight on Rohingya refugees, Aqerat tells the story of Hui Ling who goes to Taiwan to start a fresh chapter in her life. Or so she thinks. She ends up at the Malaysia-Thai border working as a human trafficker and becomes a witness to the atrocities perpetrated against the Rohingya immigrants. Her beacon of light through this is Wei, a young hospital worker who believes that she is a woman from his past. 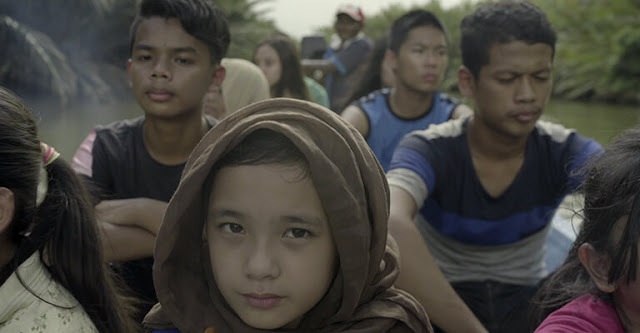 This film is a sweeping tale of displacement and morality in contemporary Malaysia and it won Edmund the Best Director award at the Tokyo International Film Festival (TIFF). The film was also selected as a finalist with 14 other films to vie for the Grand Prix (Best Film) award. 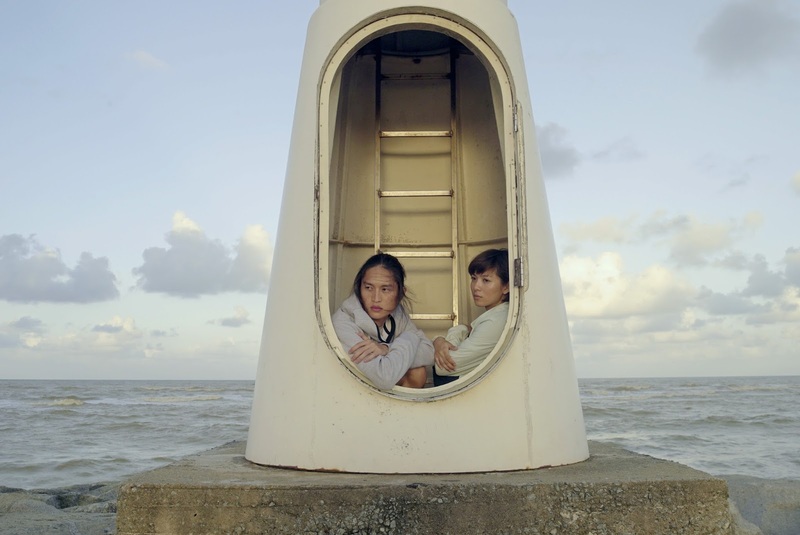 His first feature River of Exploding Durians, about students fighting against the construction of a potentially radioactive plant, also competed for the main prize in the 2014 edition of TIFF. Coincidentally, Edmund has lived in Japan for four years, completing the whole Japanese connection. What is about Edmund and politics, and the voiceless in society? Here is SINdie’s interview with Edmund in conjunction with the screening of Aqerat at the 2nd MIFFest. What do you hope the audiences take away from watching this film? When I started making this film, the intention was to shed some light upon the Rohingyan plight, especially how their mass migration to Malaysia in the last few years. For as far as I can remember. we have always been a hub for foreign migration and human trafficking. They are around us, but we were so caught up in our own affairs that we remain ignorant to their stories despite the fact that it's happening in our own country. I'm hoping ask and explore questions with this film, and hoping that these questions will be relevant to audiences too. What were some of the interesting responses to this film from the festival screenings so far? 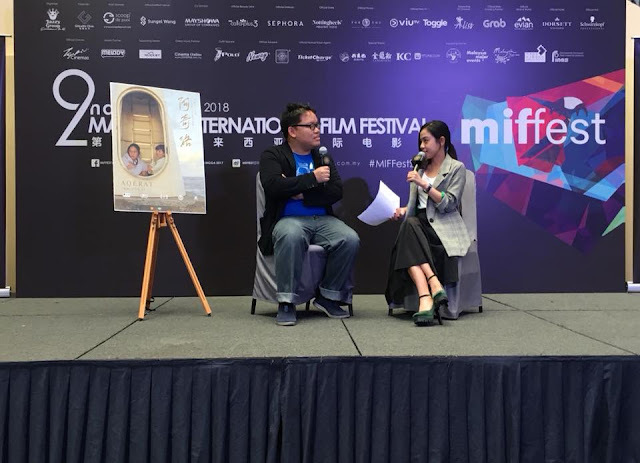 Over the last few months, the film had shown in numerous different festivals in different countries, and the responses had been very interesting. I think many of them were fascinated by the multicultural, multilingual environment of Malaysia, and the parallel fates of the refugees and the Malaysian Chinese. While they continue coming into our country, we ourselves are yearning to leave the country for a better life. I think this was something that left many audiences rather curious. Why was Huiling trying to head to Taiwan in particular? Many Malaysian Chinese had gone to Taiwan to further their studies, it's usually the country that one chooses if they are less inclined to go to a Western country. (there are many examples from the film industry, like Tsai Ming Liang, who is Malaysian, but went to Taiwan for university). So I was adhering to that. Also, the actress Daphne Low had actually moved to Taiwan 2 years ago for her acting career, so when we were developing the script together (Daphne is a frequent collaborator, and she played the Hui Ling character in both Aqerat and my earlier film River of Exploding Durians), I wanted the character to be somewhat close to herself, with a bit of autobiographical element, thus we decided that Hui Ling would be going to Taiwan as well. The only difference is that Daphne managed to go there, while Hui Ling failed. Huiling's spiral into a darker character is very quick but it felt like she was convincing herself into it - was that the case? And why? Yes, I think to me, Hui Ling was pretty much numbing herself and suppressing whatever shred of humanity she had left for the sake of making a living. In 2015, there were mass graves of Rohingyan refugees discovered in the border between Malaysia and Thailand, that was one of my main inspirations for this film, the traffickers were Malaysians, and we were the ones who perpetrated these violence. I wanted to know what made us so desperate that we were willing to do whatever it takes to survive economically. When a country is rapidly developing in the face of globalization, there are always people who are left behind or marginalized. In my researches, many of the human traffickers were normal villagers with normal jobs who were involved in these activities for side income, hence I had Hui Ling to embody this supposed faces of evil. Your last narrative feature, River of Exploding Durians, and Aqerat both deal with politics. What sparked your interest in politics and political topics in films? I spent most of my twenties outside Malaysia. First, I was in Perth for my degree, and then a few more years in Tokyo. The further I was from Malaysia, the more I became aware, or curious, of its politics and history. Perhaps having a little bit of distance allowed me to see things better, thus I had this strong yearning then, to tell stories about contemporary Malaysia and its people. Our politics had embedded so deeply into the national psyche that it was impossible for me to tell an authentic story of my country and its people without any allusion to our politics. Maybe it had a lot to do with my influences from (and absolute love for) Edward Yang, Bela Tarr or Koreeda Hirokazu's cinema. What were some of the biggest challenges you faced while making this film? Do you worry about censorship? No, I just try to make films with stories I want to tell, stories I think are necessary to tell. Therefore I fear that if I worry too much about censorship, I would end up practising self-censorship instead, which would be unfair to the film. My last film, unfortunately, was unable to show in Malaysia due to its sensitive political content. But Aqerat had managed to pass local censorship (albeit with two minor cuts, both about shortening the kissing scenes), so we are indeed working on a local limited release later this year!